Chuck enjoys both the beauty of the great outdoors and the challenge of finding and photographing its wild inhabitants both big and small. 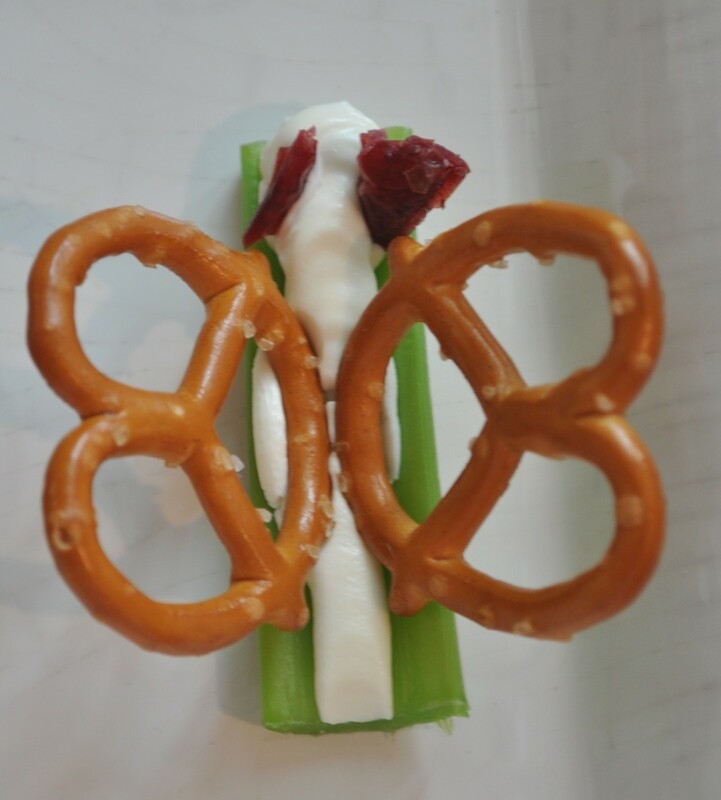 June 19th is Butterfly Day, a fact that I learned when I went to an online greeting card site to send a birthday card to a colleague and discovered cards for Butterfly Day. I did a few quick Google searches to learn more about this holiday but, while I got a fair amount of hits, most of them were for greeting cards or notices of events at zoos, museums and schools butterflies on their day. Unlike official national, state or local holidays, which are created by legislative bodies or by proclamations issued by the President, a governor or a mayor, Butterfly Day seems to be a day butterfly lovers have chosen to show their appreciation for these beautiful insects. I suspect the holiday is fairly recent and probably started either locally or within a national or international organization of museums, schools, scientists or other group with an interest in butterflies. All my quick searches revealed was that June 19th is the date all seem to celebrate it and the day itself is celebrated by museums and schools in the U.S. and other nations. With modern communication, especially the Internet, it is not difficult to get something like this going among enthusiasts around the world. With eCards easy to design and make available we can expect that enthusiasts would design and offer these cards as part of their celebration. 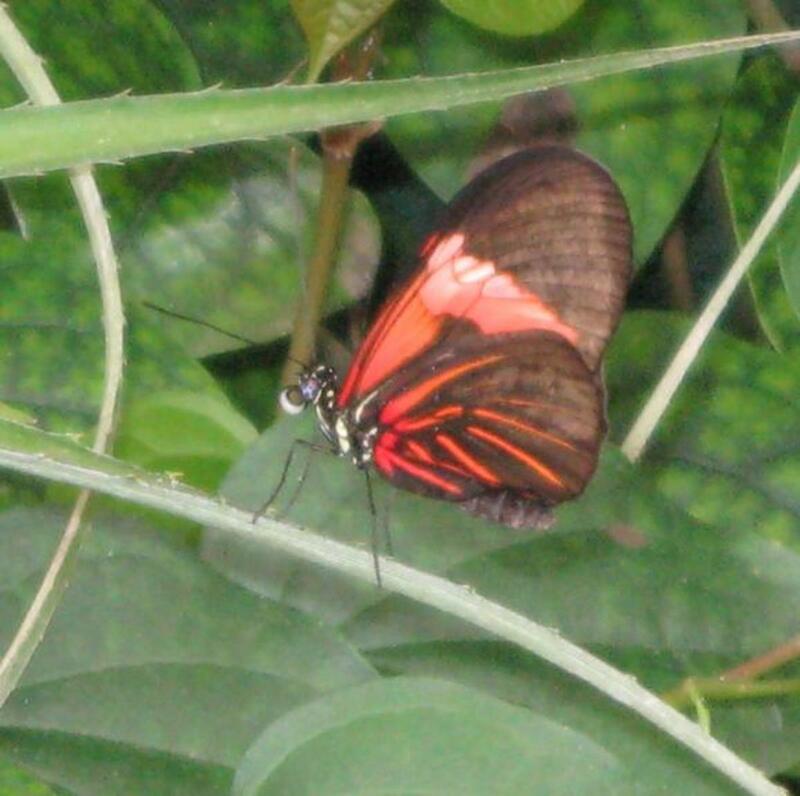 Unlike Pi Day, the celebration and appreciation of which tends to be limited to high school and college math geeks, butterflies are enjoyed and appreciated by all which is probably why major online card companies have jumped in with cards for this day. 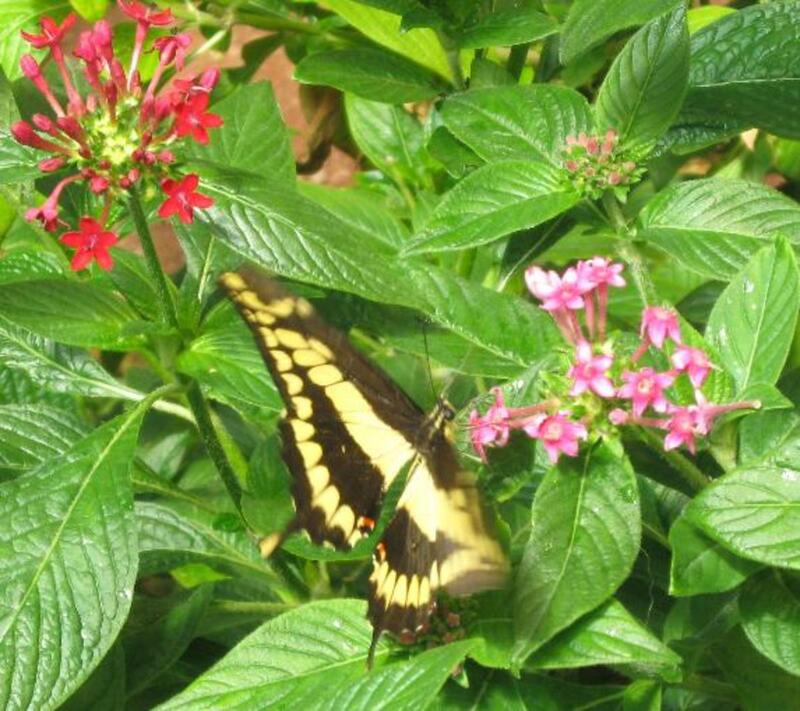 Butterflies do perform a useful service in that they help to pollinate plants as they fly from flower to flower sipping the nectar for food. Other less glamorous insects also perform this function and often do it more efficiently. So, the real contribution of butterflies on our planet is to add to the natural beauty of the world around us and helping to add to the joy of living. Thus, it is appropriate to set aside a day to celebrate and appreciate them. 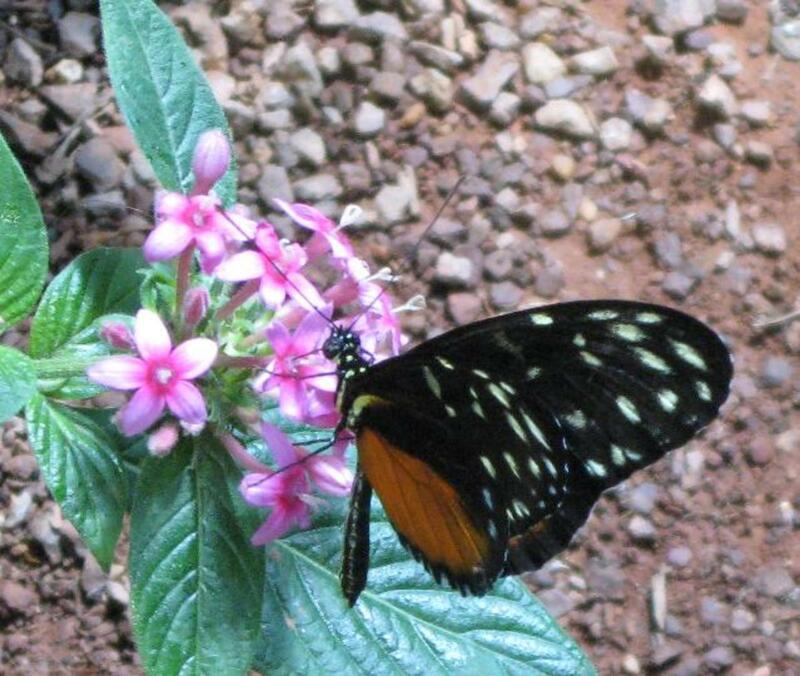 In honor of the day here are some pictures I took in the butterfly house at the Tucson Botanical Gardens earlier this year. The Atlas Moth, shown at the right, is native to Asia and is a member of the Saturniidae or silkworm moth family. 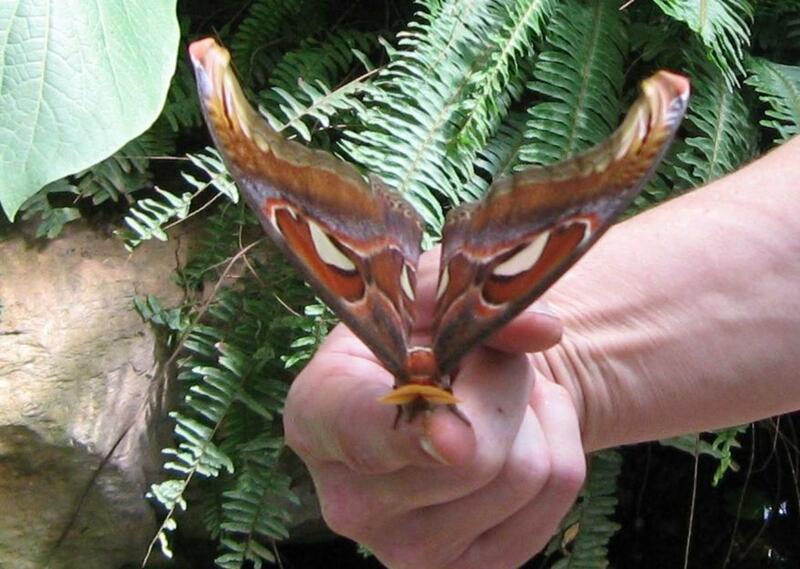 It is a very large moth and, while it does not have the largest wingspan (some other butterfly or moth holds that title) it does have the largest wings in terms of area. 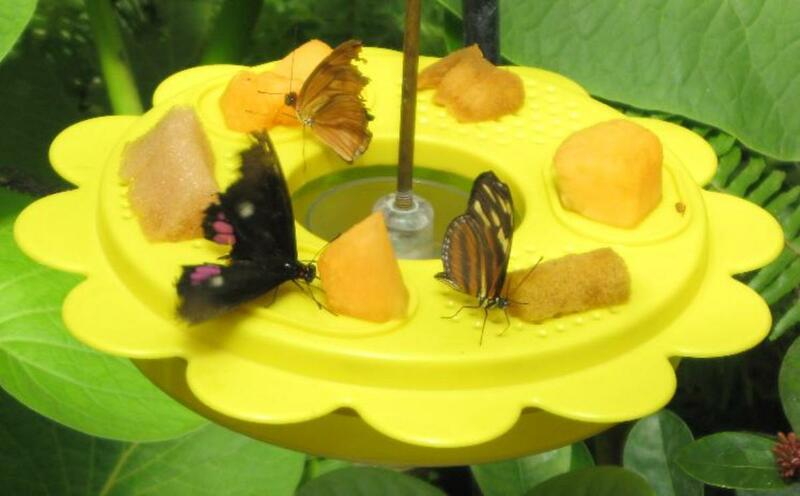 Butterflies and moths are the adult version of these insects having spent their youth as caterpillars or silk worms in the case of the Atlas Moth. But adulthood for the Atlas moth is short. So short that it has no need to eat and hence no mouth. 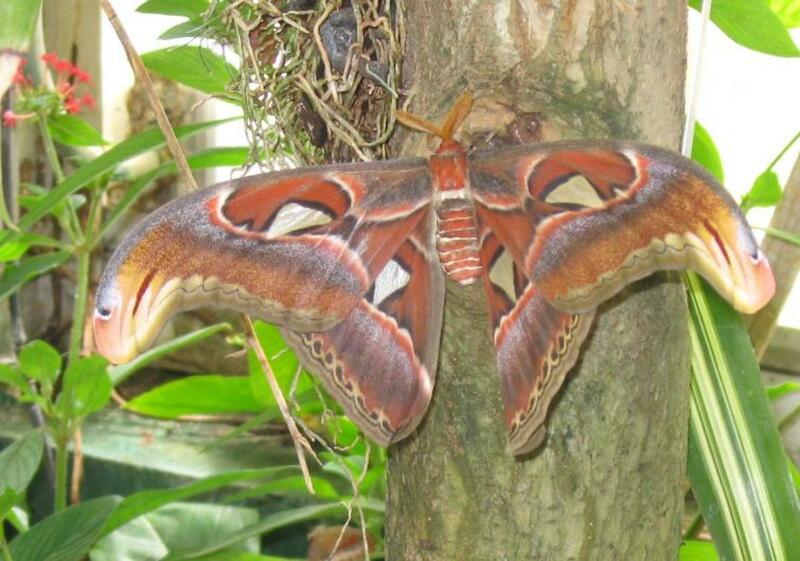 The life span of an adult Atlas moth is from one to five days and the sole purpose of its adult life is to reproduce. The Atlas moth at the right is a male (the female Atlas moths are even larger in size) and, the day we visited it was the only Atlas moth to hatch. 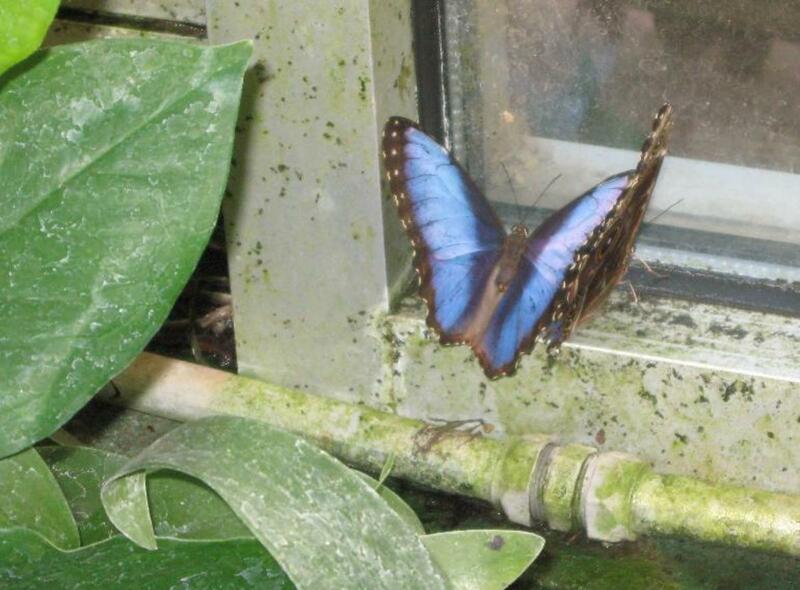 The few others the Botanical Gardens had in their collection still had a while to go in their cocoons. While we were there this fellow seemed to be taking it easy and viewing the world around him. We were told by the docent that, when night came, he would begin flying around in vain seeking a female with whom to fufill his life's mission. Alas, he was doomed to fail and the docent expected to find him dying, brokenhearted, on the floor when they opened the next morning. Such is life, when you are an Atlas moth. chanchal - glad you enjoyed this Hub. Thank you for your Comment. 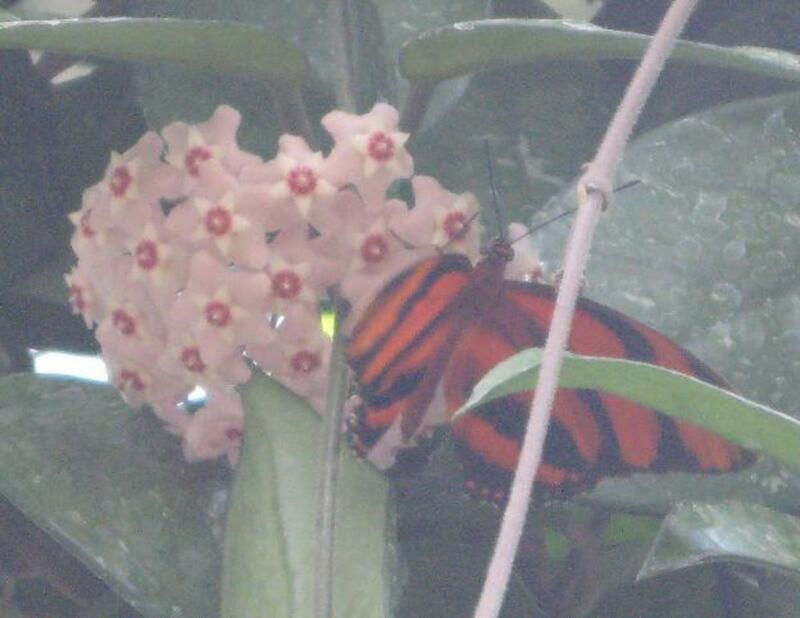 I took photos of a butterfly 2 days ago (8.11.11) and thought she was quite beautiful. I have never been so up close and personal with one of these types of butterflies before and thought it was a great chance to get some footage. She had orange with black wings and was very fluffy. My dad suspected she had laid eggs as it was week and did not fly away when we pick her up with a a twig that was covered in nectar. Today I found out he was correct as I spotted the same butterfly in our parsley bush. I have just created a folder on my computer to remember her by. She died on the 10.11.11, the day before Remembrance Day. After reading this website I will now be remembering her on Butterfly day every year on the 19th of June. 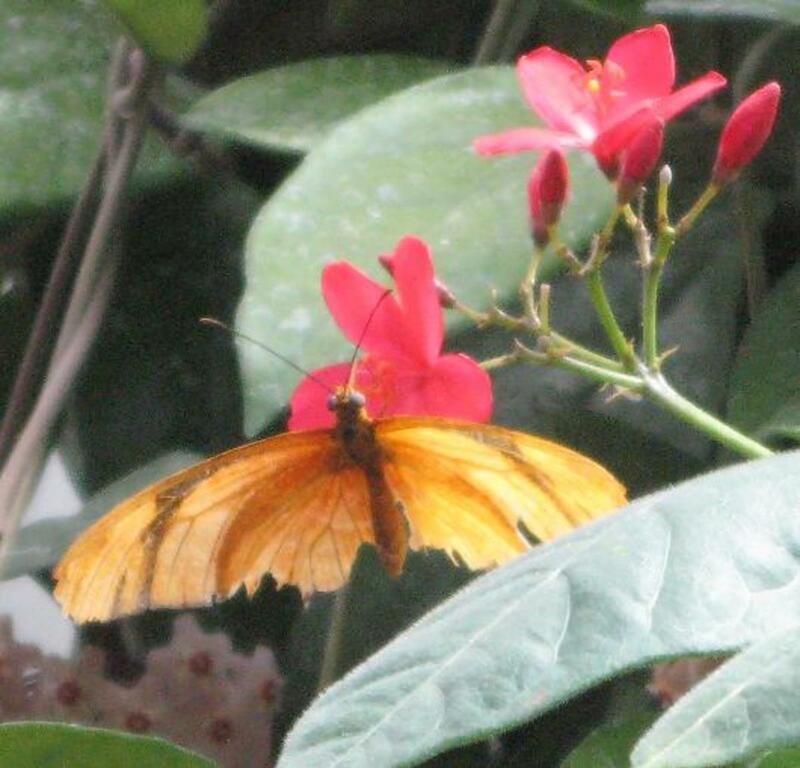 Wonderful photos of butterflies. I enjoyed looking at 'em. 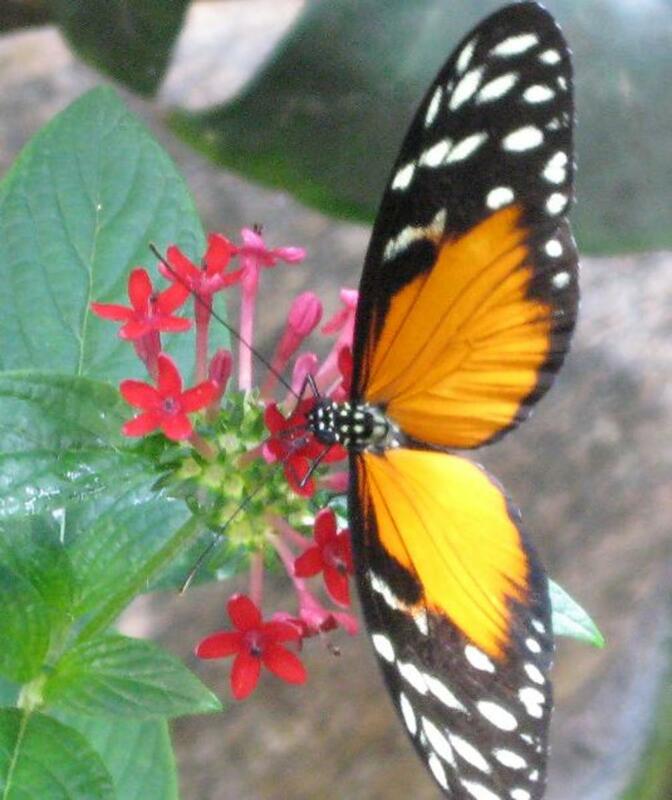 Firstly I tell you I don't know there is butterfly day.The above pictures of the butterfly is so nice.This hub is very interesting and amazing.I like this hub very much.So thanks a lot for this wonderful and amazing sharing. 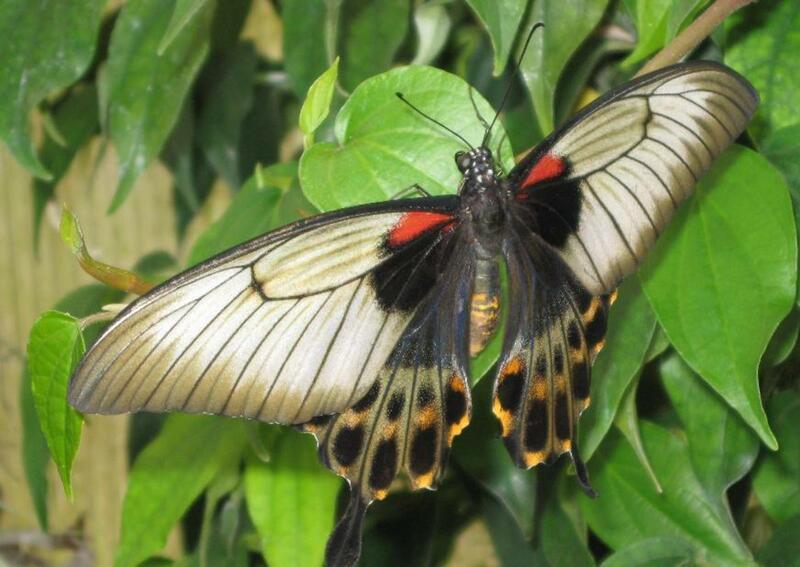 Send free National Butterfly Day eCards from http://www.123greetings.com/aff-bin/subcategory/24... 19th June is the National Butterfly Day! Well it seems like they have a day for everything don't they? Kinda interesting how they only live for 5 days. There is one particular species that actually lives less than a minite just to mate with their queen. I forget the name of that species but the process is quite interesting. The queen gives birth to hundreds of male eggs and as soon they all hatch, they rush torwards the queen in hopes that they'll be the first ones there. 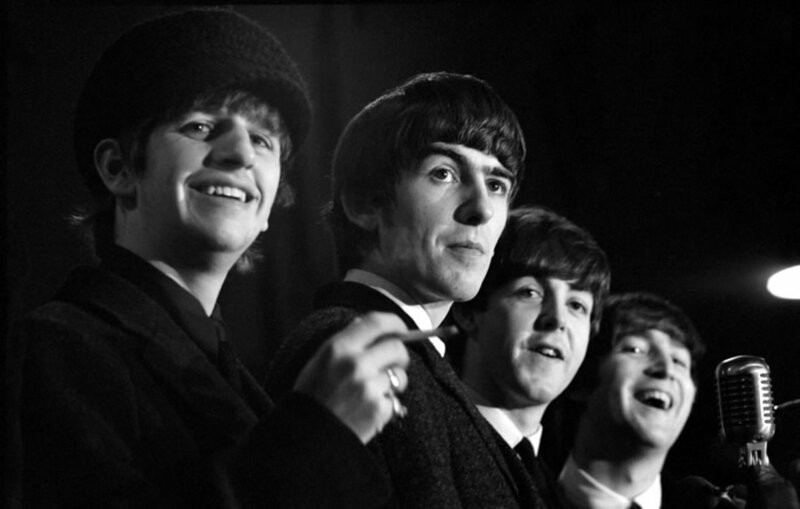 And since the queen can only have one mate, the rest end up dieing off without any kind of life at all. But anyway it was a great hub. I hope to read some more soon. Gorgeous! The Atlas Moth is splendid. Thanks for this enlightening information! I didn't even know butterfly day existed , GREAT HUB! I will make sure to share. 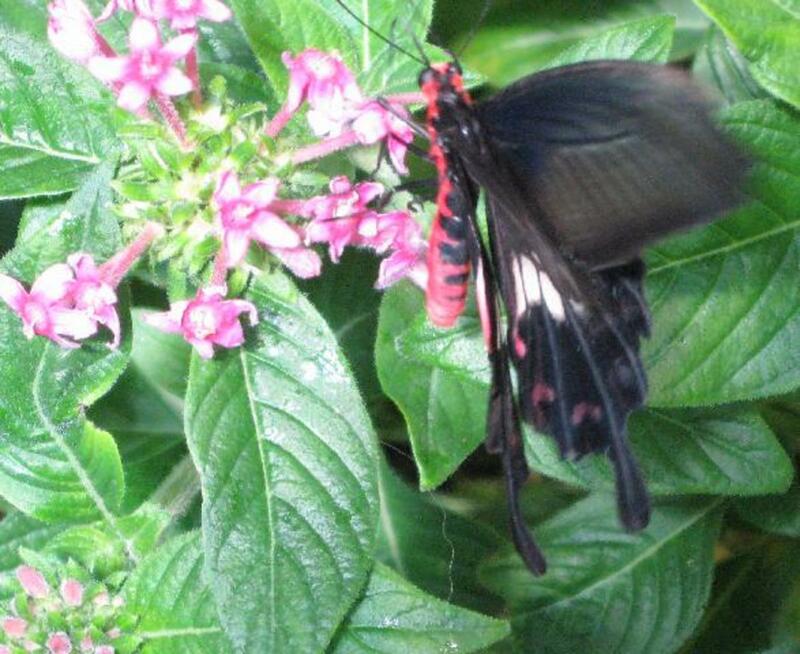 I love butterflies and didn't know there was a butterfly day! And now they are even used in weddings instead of the traditional releasing of doves. Well, when I passed away someday, I would like to see butterflies released also. LOL Now wouldn't that be cool?